Vinaya is the author of "Amazing Alphabet" and "People's War in Nepal: Songs and Narratives From the Frontline." There are two disciplines in Buddhism, Mahayana and the Theravada. 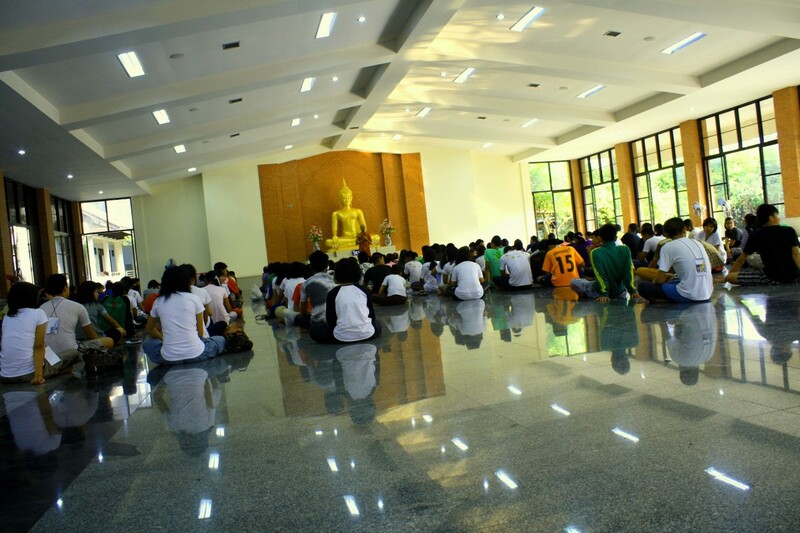 Theravada emphasizes on monastic life and the Buddha’s Teachings. Mahayana is a broad concept, which has assimilated Hindu beliefs, shamanistic practice, esoteric rituals and meditation. Buddhist disciplines such as Tibetan Buddhism, Zen Buddhism, Vajrayana Buddhism are different schools within the context of Mahayana Buddhism. The Buddha was born in Lumbini, Nepal, in the 6th century BCE. 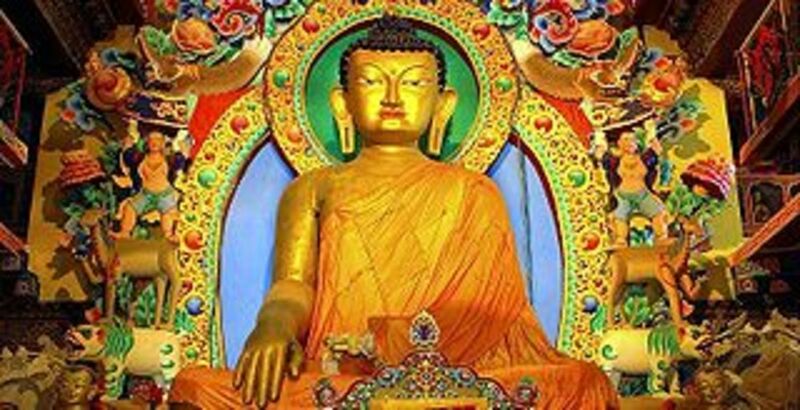 Buddhism went to Tibet from Nepal, India and China, and then came back to these countries after being redefined. Tibetan Buddhism is the blend of Mahayana Buddhist tradition from Nepal and India, shamanist tradition in Tibet, Bon religion of ancient Tibet, and Tantric beliefs in Hinduism. Amnsu Berma was the regent of Nepal. He wedded his daughter Bhrikuti to the Tibetan Emperor Songtsen Gampo (c. 609–49 CE). Legend has it Bhrikuti was the first person to preach about Buddhism in Tibet. 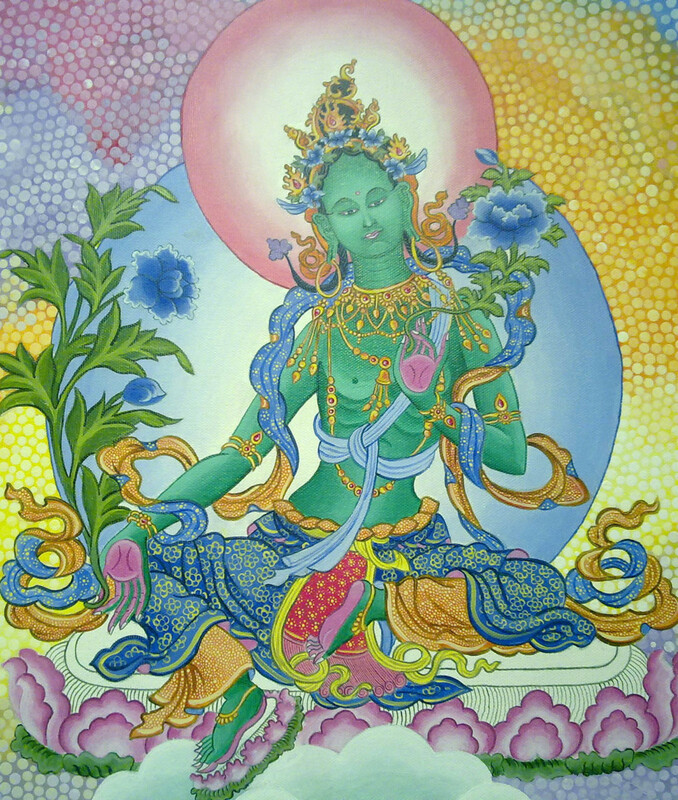 Hindu and Buddhist worship Bhrikuti as Goddess Green Tara. Songtsen Gampo’s second wife, also a Buddhist, was a Chinese princess, who is worshipped as White Tara. Shantarakshita, an abbot from the Nalanda Monastery in northern India, was the first Buddhist monk to travel to Tibet. After Shantarakshita, Padmasambhava went to Tibet in 774, during the reign of King Trisong Detsen. Padmasambhava, also known as Guru Rinpoche, wrote and translated Buddhist texts from Sanskrit to Tibetan language, and built Jokhang, the first Buddhist Temple, in Lhasa, Tibet. In the beginning, Buddhism had to struggle with Bon, a shamanistic faith in Tibet. After years of rift, Padmasambhava was finally able to assimilate Buddhism with Bon religion. Tibetan Buddhism is practiced by the Tibetans, in exile or in Tibet, and the people in Nepal, India and Bhutan. 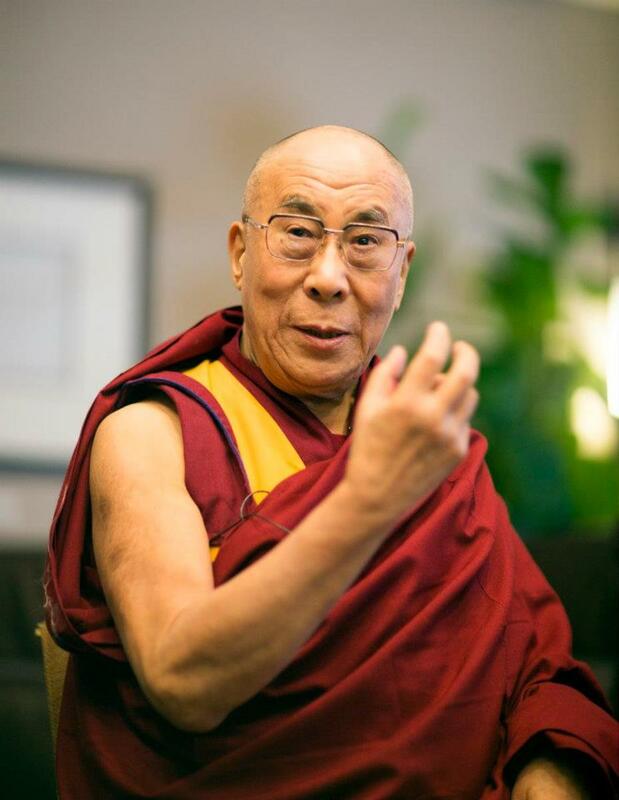 Tibetan Buddhism was known to the West when Chinese intervened in Tibet, and the Dalai Lama, God-King of Tibet exiled to India, in 1959. 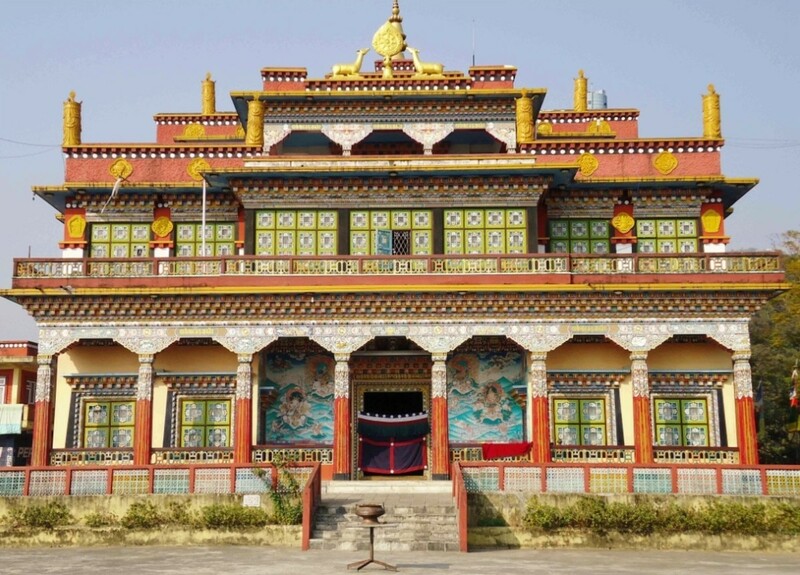 Nyingmapa is the oldest school in Tibetan Buddhism. It was founded by Padmasambhava. Nyingmpa is the basis of Tibetan Buddhism and the different schools in Tibetan Buddhism. Kagyupa is sometimes called Karmapa because the Karmapa Lama heads this school of Tibetan Buddhism. 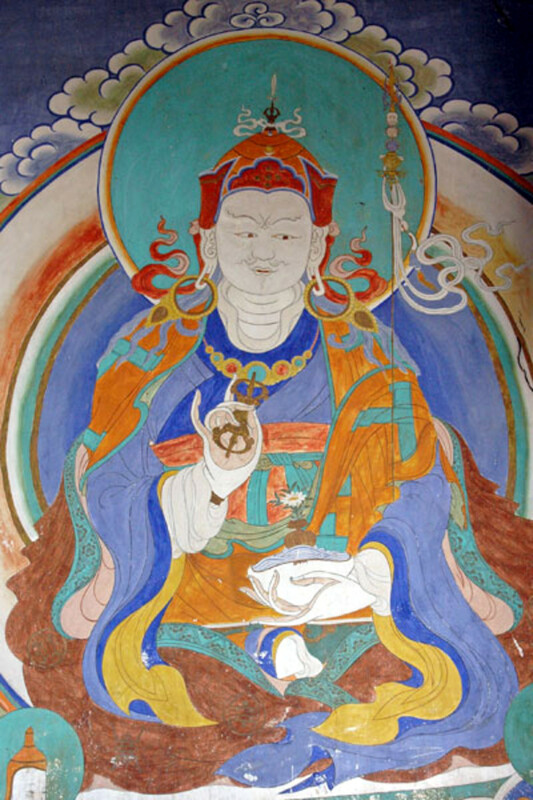 Tilopa is the Father Figure in Kagyupa School. After Tilopa (988-1069), his disciple Naropa (1016-1100) headed Kagyupa. Marpa (1012-1096) and his disciple Milarepa (1040-123) are other important figures in Kagyupa School. Sakyapa School was founded by Gonchok Gyelpo (1034-1102). After Gonchok Gyelpo, his son Gunga Nyingpo (1092-1158) headed Sakyapa. Gelugpa School is the most important sect in Tibetan Buddhism. 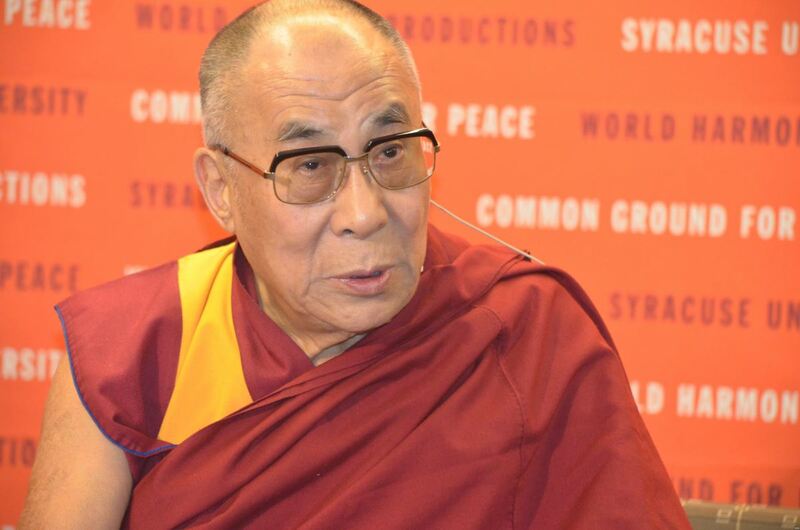 The Dalai Lama is the head of Gelugpa and the father figure in Tibetan Buddhism. Gelugpa was founded by Tsong Khapa Lobsang Drakpa (1357 - 1419). New Kadampa Tradition is one of the disciplines in Tibetan Buddhism growing very popular outside Tibet. Kadampa Buddhism was founded by Indian Buddhist Monk Atisha (982 - 1054 CE) and revived in the West, in 1976, by Geshe Kelsang Gyatso, a Tibetan monk in exile. There are many forms of Buddhist Worship. 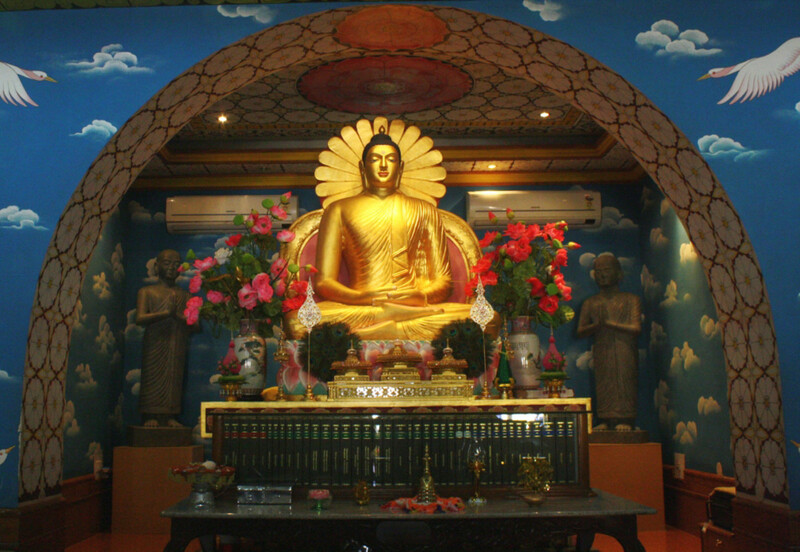 The followers of Theravada do not worship the Buddha as God. They practice their faith by reading Buddhist scriptures and performing meditation. In Mahayana school, rituals are performed to worship the Buddha, the Bodhisattvas, the Buddha-to-be, deities and the spirits. Even though the Buddha is the major God in Tibetan Buddhism, there are many benevolent as well as wrathful deities, spirits, and the Bodhisattva. Tibetan Buddhism has artistic tradition. 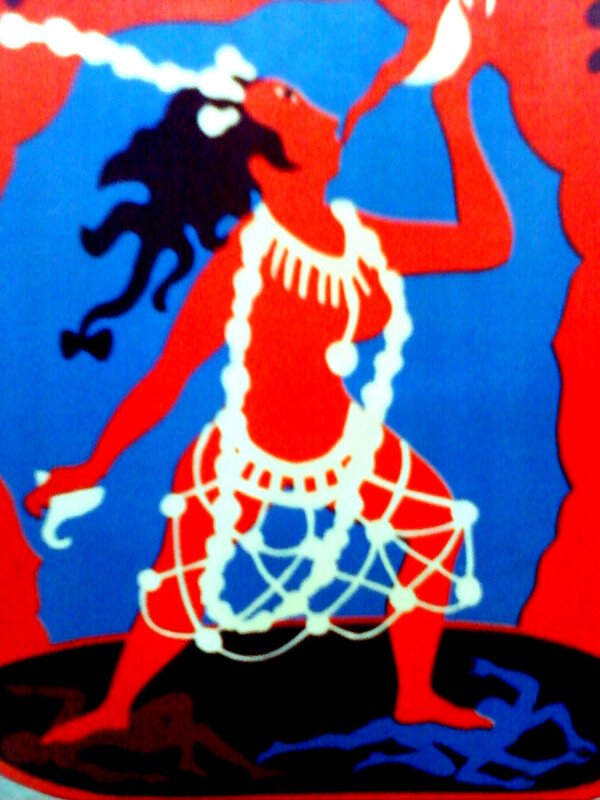 Music, dance, paintings are important aspects of worshiping. It emphasizes on strict monastic life, but also commemorates the life of householders. The Lamas, literally teacher, have a significant place in Tibetan Buddhism. Tibetan Buddhism believes in reincarnation, and the Lamas are thought to be reincarnation of great Lamas. Lamas not only have through knowledge of the scriptures, but also have skills in rituals. Birth and death are important ceremonies. Festivals are celebrated with much fanfare. Pilgrimage is highly regarded. Circumambulation with prostrations is widely practiced. 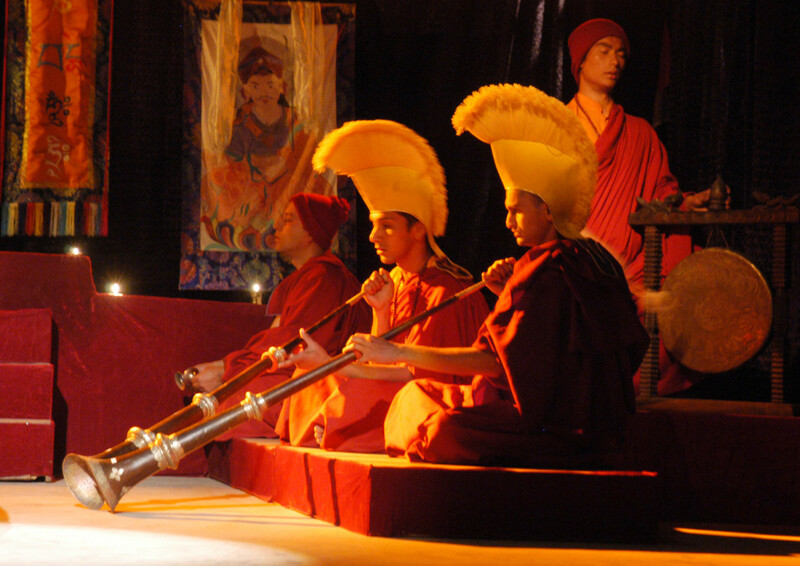 Chanting mantras, spinning prayer wheels, rotating rosary, offering khata, silk scarf, to the Lama, the Buddha and the deities; lighting butter lamps, burning incense, playing musical instruments such as cymbal, drums, bells, gongs etc., meditating on Mandala are indispensable to Tibetan Buddhist rituals. Worshiping in Buddhism is done both in home, in a worshiping room, or in temple and monasteries dedicated to the Buddha or the Bodhisattva. Buddhist Temples have different architectures, and the most popular are Stupa and Pagoda. Stupa are while dome structures with the Buddha’s relics stored inside. 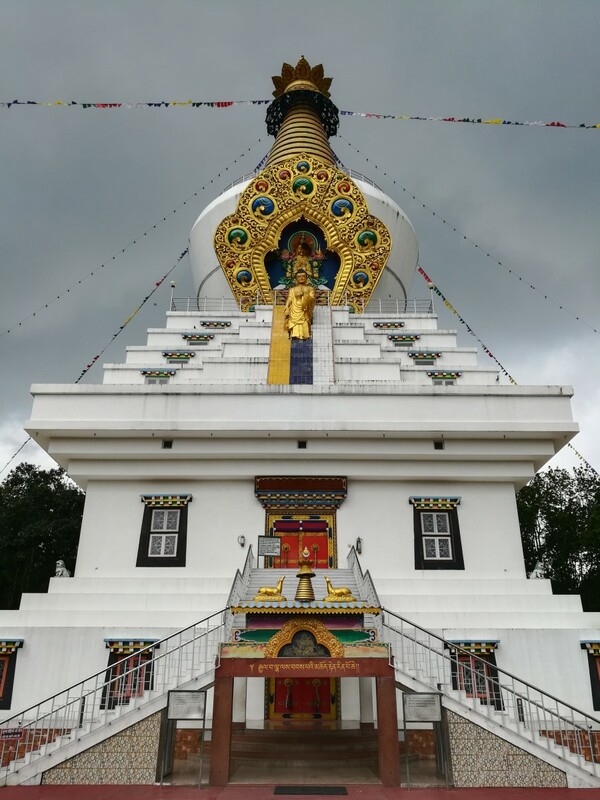 It consists of gilded spire on the top of white dome and the Buddha’s eyes painted on the base. Pagoda temples have multi-tiered roofs, which are supported by wooden eaves. Stupa and Pagoda design originated in Nepal, which later spread to China, from China it went to Japan, Tibet and many other countries. Prayer wheels and prayer flags are endemic to Buddhist temples and monasteries. Buddhist temples contain designs that symbolize the five elements: Fire, Air, Earth, Water and Wisdom (also called Sky). The base of the temple is earth element and the pinnacle at the top is wisdom. In Hinduism and Buddhism, certain types of hand gestures are made during ritualized worshiping or meditation, to symbolically evoke or appease deities. Buddhist and Hindu deities, the Buddha and the Bodhisattvas are also depicted with certain types of Mudras. Mantra is a word in Sanskrit, which means protector of the mind. Mantras are used in Hinduism as well as in Buddhism. Mantra is a word or combination of words in Sanskrit or Tibetan language, which is chanted over and over, loud or silently. 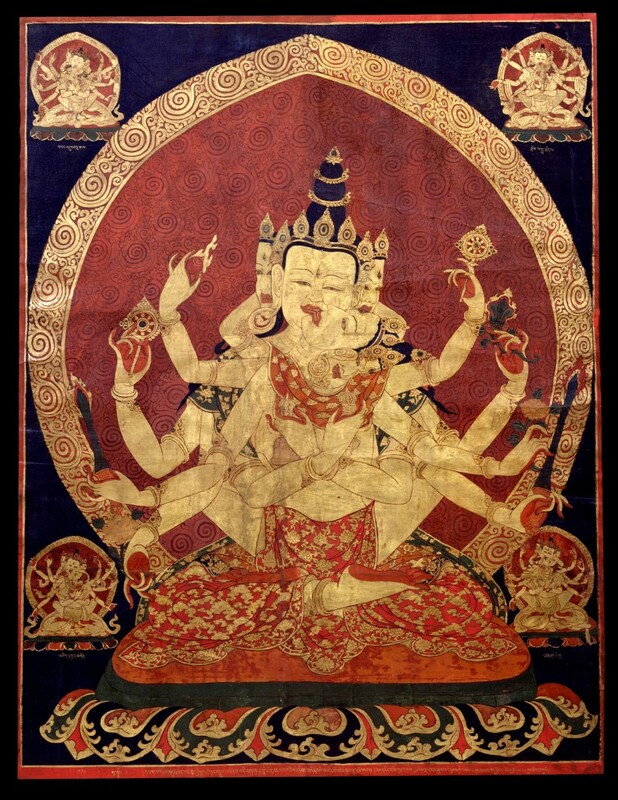 Hindu and Buddhist deities are ascribed mantras. Mantras are chanted to appease the deities, ask for blessing, gain spiritual enlightenment and material benefits. It is very common to chant mantras during the worshiping and ritual practice. The most popular Buddhist is Om Mani Padme Hum, which is dedicated to Avalokiteshvara, one of the forms of the Buddha. Mantras are most of the time untranslatable in another language, however, Om Mani Padme Hum can be nearly translated as “The jewel in the lotus, Amen!" Prayer wheels and rosary are used while chanting mantra. Mantras are also printed on prayer flags or carved on prayer wheels. Each time prayer wheel rotates, mantras are also repeated. Fluttering of prayer flags over the Buddhist temples is also considered repetition of the mantras. Rituals are integral part of the Tibetan Buddhism. Rituals are performed to invoke or appease deities, and receive blessings from the Buddha and the Bodhisattvas. Tibetan Buddhist rituals form the basis of spiritual upliftment and material gains. During his life, the Buddha mainly taught about philosophical ideas and the Vipassana Meditation. However, after the Buddha’s death, his followers began worshiping the Buddha with Tantric practice burrowed from Hinduism. Tantric practice involves performing complex rituals using body postures, hand gestures, rituals objects, mantra etc. When the Orthodox teaching of the Buddha was assimilated with the tantric rituals, it became known as Tantric Buddhism, popularly called Vajrayana Buddhism. Padmasambhava introduced Tantric Buddhism in Tibet; nevertheless, he had to assimilate Bon ideas and rituals with Buddhism because of the rift with Bon, the original faith of Tibetans. Tantrism and shamanistic practice from Bon are the basis of Tibetan Buddhist Rituals. Tibetan Buddhist rituals include meditation, reading scriptures, chanting mantras, dancing, playing music, painting, pilgrimage, circumambulation with prostrations, and worshiping deities, the Buddha and Bodhisattvas. Tibetan Buddhist rituals can be a private affair as well as public ceremonies. Public ritual ceremonies are performed by the Lamas dressed in lavish costumes, in monasteries and temples. Rituals performed in public are surreal with dancing, chanting and playing musical instruments. Before a common monk becomes a Lama, he has to go through rigorous rituals in private under the supervision of his teacher. Ritual objects are integral part of Tibetan Buddhist rituals. Ritual objects have symbolic meaning. Mandala is a geometrical drawing on paper, cloth, metal plate, table, floor or wall that represents cosmic universe and the Almighty. It is the most sacred and powerful ritual object used in Tibetan Buddhism. Mandala drawings consist of intricate patterns of triangles, squares, rectangle. dots etc. There are thousands of Mandala designs. Different types of Mandala are ascribed to different deities. Mandala is also used in Hindu worshiping. When the Hindus use Mandala, they call it Yantra. During the worshiping, worshiper meditates on the Mandala, which helps, him/her towards the path of enlightenment. 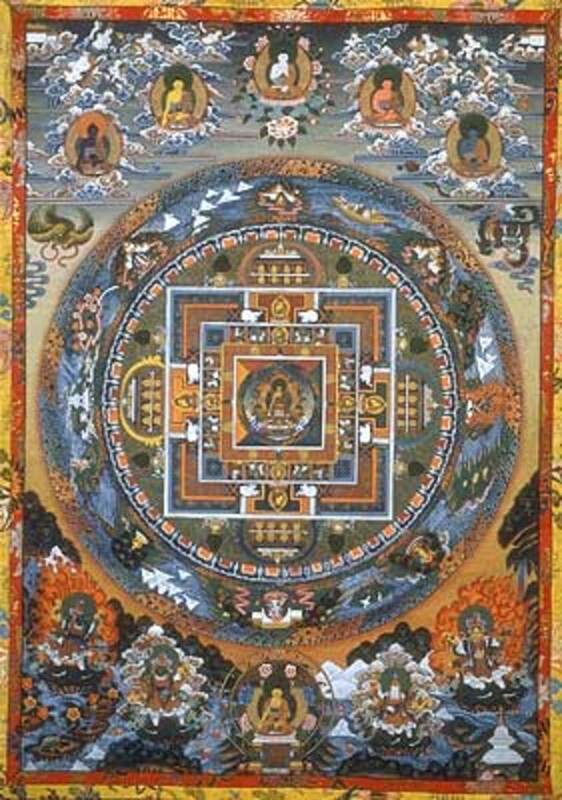 Viewing a Mandala or meditating on Mandala is considered the purification of soul. Mandala drawing itself is a Tibetan Buddhist ritual. A Buddhist monk is permitted to draw a Mandala only after years of training. Mandala can be of different sizes. Smaller ones are used as rituals objects during worshiping and larger ones are drawn on the walls or floor of the monasteries using butter or sand. Mandalas etched on metal plates or painted on scrolls are available for personal worshiping. Color, ink, sand, butter or paint is used to draw a Mandala. Colors used in Mandala drawings are plant extracts, metal or stone powder. Gold silver and precious stones are also used in Mandala drawings. Mandala drawing process can take many days. After Mandala drawing is completed, High Lamas pray to deities for blessings. Butter Lamps: Butter Lamps serves as guide during the rituals. Butter lamps are lighted on the altar and symbolized as the destroyer of illusion. 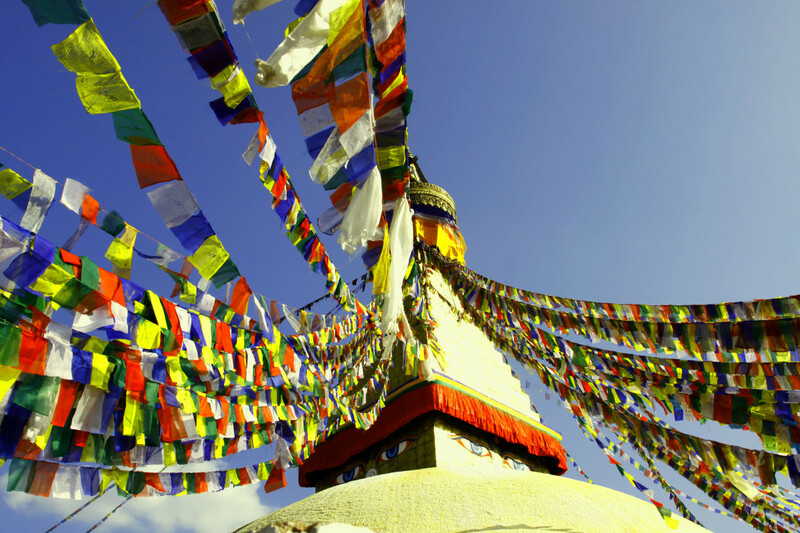 Prayer Flags: Prayer flags are rectangular cloth pieces in different colors with mantras printed on them. Prayer flags are tied on the roof of the Buddhist temples and monasteries, even on the mountains peaks and ridges. Phurpa: Phurpa is a dagger, usually carried by High Lamas. Phurpa is believed to destroy evil spirits and obstacles. Dorje: Dorje is a small scepter, which derives from Vajra, the thunderbolt, in Vajrayana Buddhism. Dorje is a weapon against all kinds of ignorance and evil spirits. Dorje symbolizes the male principle. Drilbu: Drilbu is a bell, used in rituals, which symbolizes female principle. Drilbu is used to turn away evil spirits and purify the environment while performing rituals. Male principle Dorje and female principle Drilbu are very important ritual objects in Tibetan Buddhism. Prayer wheels are cylindrical drums made of bronze, hollow from inside, mantras carved or painted outside, and stand on a spindle. 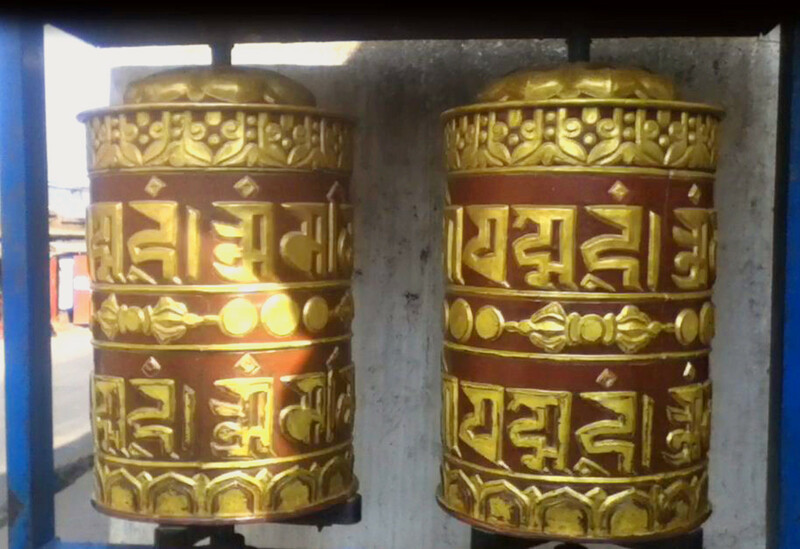 Prayer wheels are widely used in Tibet and Nepal. Spinning prayer wheel is an act of reciting mantras or scriptures. There are different types of prayer wheels. Handheld Prayer Wheel is small and used by people to rotate from spindle as they chant mantras. Medium Size Prayer Wheels are permanently fixed on the walls of the temples and monasteries, which are spun by people while doing circumambulation. Large Sized Prayer Wheels are continuously spun using electric motor and generally placed on the gates of the Buddhist temples and monasteries. Large sized prayer wheels are also manually rotated by the people as they enter the temple or monastery. 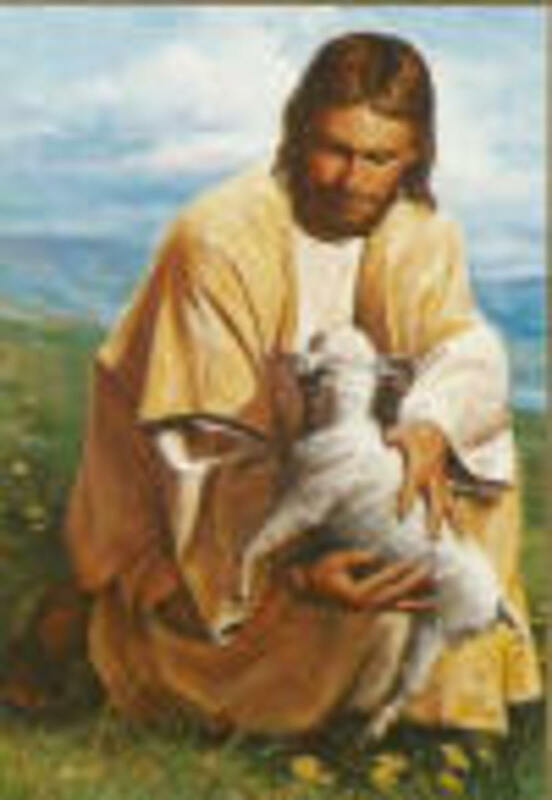 Jesus: Did He Study Buddhism and Hinduism? @Wiccansage thanks for taking time to watch the video and appreciate my work. Very beautiful video. I enjoyed learning more about Buddhism. Love the artwork, the mandalas are especially interesting. I returned to read your article a second time. You Hub is a work of art, my friend, well deserving of all the accolades it may receive. Thank you my dear friends and fellow writers for sharring your views about the topic. I appreciate your time and efforts. Interesting article, congrats on the Hub of the Day honors for this. It was very informative. Congratulations on you Hub of the Day! Well-deserved my friend. This is a lot of information and very educational. Buddhism, the second largest religion practiced in Malaysia, follows the Mahayana tradition and differs from Tibetan Buddhism. In Malaysia, Buddhism is practiced mainly by the ethnic Malaysian Chinese and I was told by my Buddhist friends that what they practiced is a mixture of Chinese and Buddhism beliefs and traditions. Congrats on another HOTD award! This is filled with so much interesting information about Buddhism. Congratulations on Hub of the Day. This deserves it. Woohoo Vinaya...An awesome hub such as this deserves HOTD! Congrats to you! What an amazing article you have compiled with so much information I am like Mary and will have to reread to take it all in! So interesting learning the history, customs, rituals and studies of Buddhism. Congrats a very well deserved HOTD my friend, voted up, useful, awesome, interesting! Useful and informative hub. Thanks for sharing and congratulations your hub on hub of the day!! Awesome read. I enjoyed it. I have a personal interest in studying Buddhism. There is so much to learn about it all. I was introduced to Buddhism through a book called Dharma Punx. It is a memoir written by Noah Levine who grew up in my hometown Santa Cruz California, how he changed his life and found freedom through Buddhism. Thank you for this article. I will have to check out more of your Hubs now! And congratulations on your award. Thanks for publishing another excellent cultural article. Congratulations on its being awarded the HP Hub of the Day. It is three days before you leave Kathmandu on your trek. I'm hoping to read some articles about your adventure upon your return. Thanks for an excellent introduction to Tibetan Buddhism, accompanied by a beautiful video. Congratulations on Hub of the Day. Voted up awesome, and beautiful. As a lifelong Buddhist practitioner and teacher of a different tradition (Zen), I would like to make a couple of points of distinction. I hope you don' t mind. Some hold, as you do, that Vajrayana is within Mahayana. Others hold that Vajrayana (including Tibetan Buddhism) is a third and separate school. I hold it is not quite accurate to speak of beneficent and wrathful deities. Rather, each deity has three faces, Awakened, Beneficent, and Wrathful. For those who are ready, the Awakened form opens their eyes to reality. For those who are not quite ready, the Beneficent form calls them in, offering gifts. For those who run away, the same deity takes on a wrathful form, hoping to "scare them straight." A reading of the original Tibetan Book of the Dead affirms this. Regarding worship, it might be important to say that it is possible to practice Buddhism without worshiping in a Buddhist way at all. This is what allows Christians (including Catholic priests), jewish people, atheists, agnostics, and scientists to practice either Zen (Mahayana) or Therevadan meditation. Beautiful subject and explained well. Thank you for your insight and for sharing. Voted up and FB shared - with congratulations for a well deserved HOTD. Buddhism has always been a fascinating. subject to me. Thanks to your Hub I think I understand it better. Congrats on your HOTD! The Monks of Drepung Loseling Monastery came to our town as part of their world tour in 2000. I there were five of them. They made a Mandala from colorful sand. It was truly a work of art. It took them four days and after they had finished, they destroyed it. The sand was swept up and placed inside an urn. Half of the sand was given to the audience, and the remainder was thrown into the ocean to call for planetary healing. I have a print from their beautiful work and each of the monks autographed the print. It is a gorgeous piece of art that I have hanging in my home. Sorry my comment is so long, but I certainly wanted to share this with you. Voted UP, shared all around. I feel enlightened. I recently became very interested in Buddhism. I have been wanting to purchase a book to learn more about the different types of Buddhist practices. I regret not taking a closer look at Buddhism in my high school days. If I knew then what I know now. @Rasta, thanks for stopping by. @Docmo, Thank you very much for considering this hub informative and insightful. Thanks for reading,commenting and sharing . A wonderful treatise on tibetan buddhism - informative and insightful. I learnt a lot here and the video is a great addition to this hub. Thank you Vinaya for this cultural treat. voted up/shared. @tillsontitan, thanks for your valuable feedback. @Frank, I try to share what I have learned. Thanks for reading and commenting. @Marcoujor, you are such a blessing. Thank you very much. @Faith, you are a spiritualist, and I'm glad that you also take interest in other cultures. Thank you very much. @Arun, thanks for your appreciative feedback. @Mhatter, thanks for your support. Thank you for this.I can't tell you how good you are at this. Well researched informative and interesting hub. Thanks for sharing. I am always fascinated by other cultures and religions. Your hubs are stunning visually and very interesting. This was amazing. So much information I think I will need to read it again to take it all in.